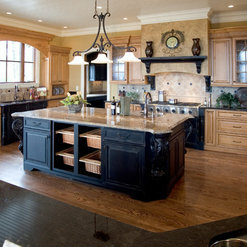 Cabinetry, appliances, flooring, installation, delivery, electrical, plumbing, deconstruction, upfitting. Mason is an excellent creative designer that LISTENS to his customer and blends their needs with his expertise to create a beautiful functional design. But it doesn’t stop there! He is supported by a great group of cabinet craftmen and installers. Another exceptional fact is, Mason personal engagement throughout the entire project! We recently completed the construction of our new home. We were downsizing and decided to build closer to family. 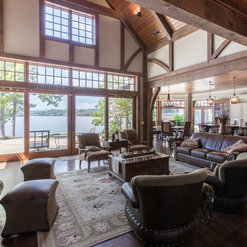 Our experience working with Mason during our homebuilding was simply amazing! He is incredibly knowledgeable, creative and extremely accommodating with changes that were made during the design phase. His designing skill and product knowledge are absolutely the best! He is replete with ideas and has the expertise to bring them to fruition. He consistently gave us updates and communicated timeliness throughout the entire building process. He made sure everything was completed and to our satisfaction. We are extremely happy with the final product; Mason's work has made the kitchen and family room the highlight of our home! We would definitely recommend Mason to our family and friends! 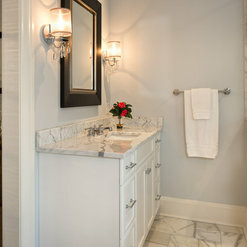 I was deep into a full house renovation when I discovered Mason Elliott Designs through a Houzz email. I was instantly intrigued by his design work and when exploring further found that we had mutual business partners. I reached out not knowing if he would be able to help, as I was cutting it close on making final decisions. Mason replied in a very timely manner and after a brief conversation Offered to meet with me the next day for a consulation. During our meeting he listened, offeredideas and showed excitement in my project. I had a kitchen design in place, but was not completely satisfied, and felt that it was lacking flow and functionality, even after working with 2 other kitchen cabinetry designers. By the following day he had designed a plan for me that was exactly what I had been searching for! I was blown away! He has been available to answer questions on details and offer further suggestions as needed. Mason is a very talented individual and I feel lucky to have found him just in the nick of time. His suggestions have relieved much of my stress and made this project fun. His services are well worth the investment! Thank you so much Michelle for your kind words. I am looking forward to seeing the photography. 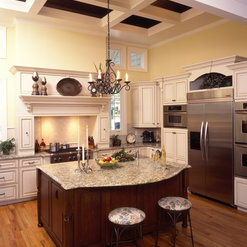 Our project was the complete remodeling of our kitchen. Mason's expertise in design and different products available was superb. Because our home is very old, the project required considerable creativity and he followed through on these details. If we have another project, we would use Mason and recommend him to other people. We are very pleased with the finished product; it is beautiful! 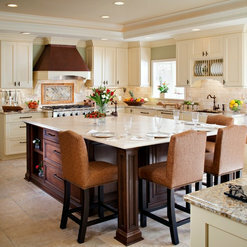 Alyn and Barbara, to assist you in designing a kitchen for your home was my privilege. You are most gracious and I am grateful for the opportunity. I look forward to seeing the photography. I have been doing small to mid size renovation/remodel projects from many years, and have worked with a number of designers and architects on various kitchen and bathroom remodels over the years. I would place Mason at the very top for his high degree of creativity, experience and professionalism. 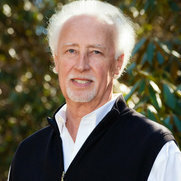 This is a man with many, many years of experience, and as a result, provides amazing designs and ideas. I have since worked with him on a number of other projects, and can highly recommend him. Mason Elliott designed a new kitchen, laundry room and 2 bathrooms in our fixer upper home. 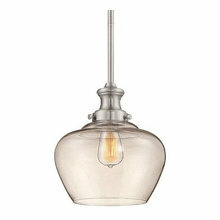 He has great people skills and was very helpful when my husband and I debated on necessary components, styles and colors. He was quick to respond to our questions sent via emails and phone calls. We are very happy with the finished projects which came out better than we expected. We have moved onto a lower house redo which Mason is designing with very creative ideas. We would recommend Mason without hesitation . Thank you so much for your kind words. It was my pleasure to assist you. Beyond our dreams We contacted Mason to provide his concept to remodel our kitchen. We knew we wanted to remodel an existing kitchen and had hopes of expanding the kitchen into a separate informal dining area and a dining room. Mason presented a concept taking three divided areas and transforming them into an open design which has become a hub for family gathering and entertaining. 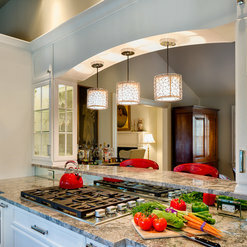 In addition to providing an incredibly purposeful design plan, he worked with a highly skilled cabinet maker and a well-respected counter top fabricator to provide custom made cabinetry and beautifully connected quartzite counter tops on three islands and a wet bar area. In addition to the beauty of the design and new elements, Mason developed a plan with the cabinet maker for a very functional work area. The light, open, and vibrant area he has created truly takes our breath. 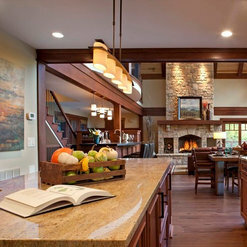 When asked if this was the kitchen and dining area of our dreams, we have to respond it is beyond our dreams. Throughout the project, Mason kept us well informed. 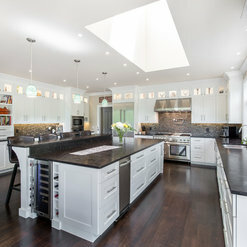 In addition to contacting us regularly with updates on design, cabinet and counter top fabrication process, and ultimately installation, Mason was on-site very often to ensure the remodeling was on track. As he developed the design and we selected products for use in the kitchen, Mason provided tailored recommendations for our style and functional needs. Beyond design, advice, procurement, and meticulousness to detail, Mason employed skilled services for installation. He made the entire project a pleasure. We highly recommend Mason Elliott Designs; and, we will use his skills and expertise on future projects. We have used Mason on several occasions, and he has always done a fabulous job. We appreciate all the time and the professionalism he invests in our projects. He is always a pleasure to work and visit with. It was a pleasure to work with Mason. He took all the ideas in my head and turned them into the perfect kitchen. We had already laid a floor plan of what we wanted, Mason very gently and professionally guided us in another direction, which resulted in us having a far, far, better flow to the kitchen. 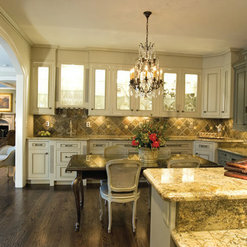 I would recommend Mason to anyone wanting a kitchen of their dream to come true. I recently remodeled my kitchen and 3 bathrooms. After considering a number of options, I hired Mason. He was able to utilize every cubic inch of my spaces with cabinets that were supposed to be mid-level, but I can't imagine that they could be any better. He thought of everything I might need now and in the future. His subs were prompt, efficient, and talented. They followed up on each detail with one extra follow-up to make sure all was right. Mason was highly recommended by several friends and I would pass along that recommendation to others. My son is a commercial contractor who is not easily impressed and he highly approved of the outcome. It was kismet that our design forces met on the job of a lifetime. From the onset, we shared much the same design philosophy and an equal commitment to quality and detail. A relaxed and professional environment nourished the design process and creativity flowed freely between us. Mason understood our attention to detail, which always makes the end product extraordinary. We provided Mason with finish samples for matching and he provided strike offs until the result was perfect. 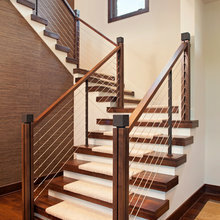 As with the installation with any large, custom project, the installation is a long process. Mason was on site regularly to supervise and guarantee that our mutual design intent came to fruition. E mails, texts and phone calls were promptly answered and any issue was addressed immediately. Mason's product knowledge was all encompassing and went far beyond what would be expected from a cabinet designer. His involvement in the total process was key to its success. Most importantly, upon completion of the project, we have a mutual client that is ecstatic with the product we delivered. Working with Mason again would not only be a privilege, it would be an honor. In our combined experience, which exceeds 40 years, this has been our finest experience and our greatest project. 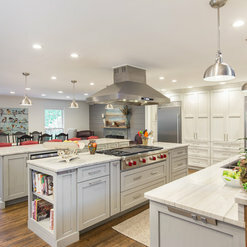 We decided to remodel our kitchen a couple of years ago, and a family member suggested we look at kitchen photos on Houzz.com. In doing this, little did I know that I would find the key player in this endeavor. As I scrolled through picture after picture, I found some incredible photos of kitchens and baths designed by Mason Elliott, a designer here in Asheville. I reviewed all of his website and after sharing it with my husband, decided to send Mason a message. His response was prompt, and this is the norm when you work with Mason or his colleagues. He made an appointment to visit with us at our home at our earliest convenience. He made us feel at ease right away, and was able to "see" our vision of transforming a poorly organized layout into a fully functioning space that is central to our home. 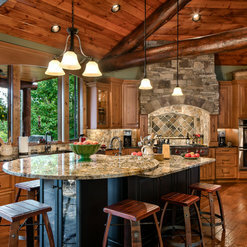 He designed what we consider a kitchen worthy of a spread in Southern Living! Having been here for the entire renovation process, and now being able to USE our new kitchen I can honestly say that we wouldn't change a thing! Mason asked lots of questions about the type of cooking we do, entertaining, etc. and designed areas specific to needs (my baking center, for example). He has been doing this for over 20 years, so his knowledge of the latest in all things related to "kitchen" is extremely helpful to homeowners like us! Additionally, his main contractor and all of the subcontractors are top notch! They were at my house when scheduled without fail, they were neat and tidy and cleaned up each day, they were respectful and all-around great people that we enjoyed getting to know! The best part - they stayed on schedule and finished on time! Mason is to thank for our incredible kitchen, because we would never have had the creativity, knowledge, or contacts to design anything like we have now. If you are looking for a unique design that is quality through and through, we highly recommend Mason Elliott. 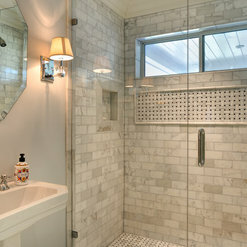 We look forward to the next project with Mason and his team - a master bath renovation! Commented: What is the cabinet color?The finish color is SW-6192, Coastal Plain. Sorry it took so long. Commented: Modern bathroomModern faucet, two mirrors, look for more contemporary lights, You really do need some type of back splash, tile or quartz.